You may have seen such errors many times as these are the common problem of sites on wordpress platform. There could be n number of reasons for this error and your database can also be the reason for this error on your wordpress blog or website. No matter if you have ever seen this error on your site or not, it is still really important that you must clean your WordPress database on regular basis. Its upon the size of your database that how many times you have to clean database of your wordpress blog. Its upto you to calculate the best optimum interval for database cleaning according to frequency of your blog posts. If you usually use and delete WordPress plugins then I recommend you to use this plugin to cleanup your database to improve performance of your website or blog. I have already shared about popular WordPress plugins and today I am going to share about one awesome plugin known as WP-Sweep. It was created by a Popular WordPress Developer Lester Chan. Way to use WP-Sweep plugin and clean up Your WordPress database? 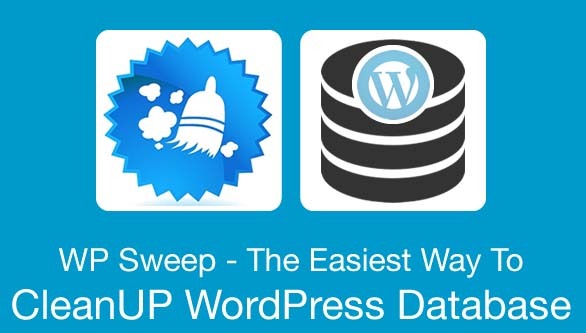 If til now you haven't cleaned up your WordPress blog database then it is the right time to do it using WP-Sweep plugin. It will hardly take few minutes to boost your site speed. Install WP Sweep on your WordPress dashboard. Sweep to clean WordPress database. This page help you to delete individual table or you can click Sweep All. Lets see the example of sweep section. Cleaning/optimizing/cleaning your wordpress blog database. Sweep large items only if you do not have any post as draft. Transient Options are basic cache system used by WordPress sites. Clearing these options help you save space. Duplicates in either the User Meta tables or Post Meta. oEmbed code in Wordpress grab embeddable content such as Vimeo or YouTube videos. There are chances that WordPress installation receives damaged oEmbed codes and the only one solution for this is to delete cache. Once you done sweeping all the options that you want to clean, click on sweep in “Database sweep”, it will Optimize your WordPress database. This is an important step after you done cleaning a WordPress blog DB. Overall, WP Sweep is one plugin which you or anyone can use without a technical knowledge. It saves you from all tech jargon & make the cleaning up WordPress database easy. Do you have a friend of a colleague who is using WordPress for blogging? Share this guide with him & help him clean up his blog database. If you do have any question, feel free to ask me. 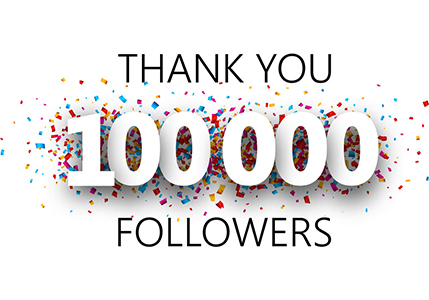 Don`t forget to like us on facebook or subscribe our newsletter to get free updates.